The campaigns leading up to the elections last night were divisive and revealed some ugly truths about how some in our country view many of the very populations we, as social workers, are working so hard for. 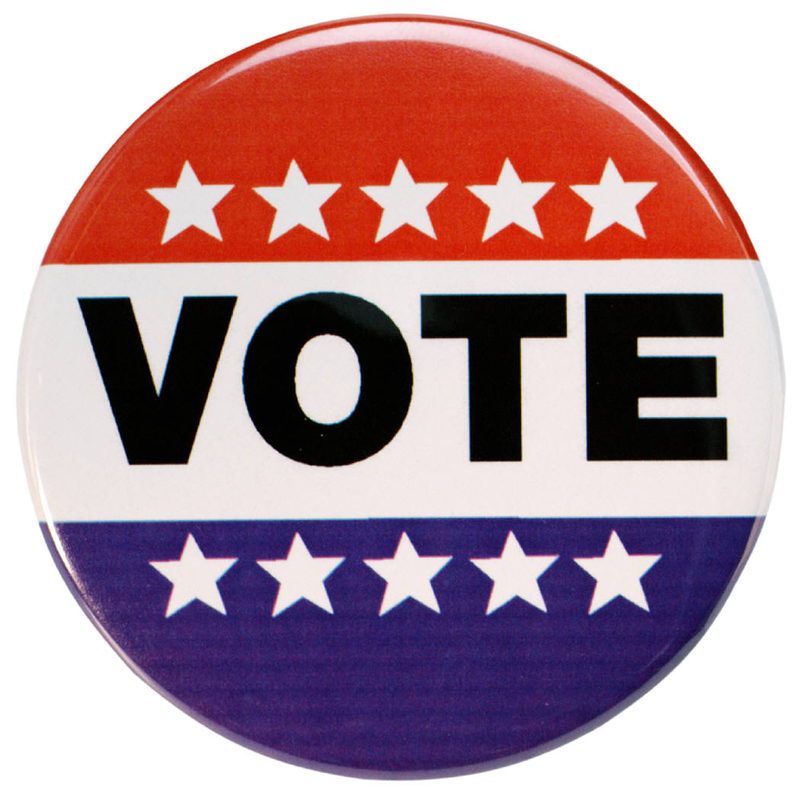 Regardless of your own personal political views about issues such as the role of government, taxes, and constitutional rights and privileges, we have to acknowledge that this election has shown us that despite the advances in civil rights, many in our country blame people of color, LGBTQ people, women, those with disabilities, and those who do not practice Christianity as “taking away” and disenfranchising White Americans, or for causing the challenges our country has faced over the past several years. Of course, not all who voted for the President-elect hold these views, but this election has shown us that far too many do. I know many of you, both white and from communities of color, are disheartened about this knowledge. Some of you are feeling scared and frightened. Already we are hearing reports of children of color being told to “sit in the back of the bus” by their white peers and KKK marches and demonstrations meant to intimidate. I fear there will be more of this to come in the next months and perhaps even years. If you are feeling scared or intimidated and need to exercise self-care for yourself or your loved ones, I understand if you feel you cannot attend class this week. However, I hope you do attend class if you can because as MSW students and social work professionals, you will feel the impact of this new president-elect and his office even more than the average citizen – you will feel it professionally as well as personally. This is a time when more than ever your commitment to advocating for social justice for your communities and clients is at the forefront. You will be practicing in an overall society that might push back on our profession’s core values and core ethics and attempt to make our work in our communities more difficult. Our profession was founded on the premise that it is our responsibility as citizens to advocate on behalf of those whose voices have been silenced. You will have clients who will express their fear and concerns about safety for themselves and their loved ones. What are you going to say to your clients? How do we go on to support them in this uncertain time? Let us use this time to support each other in how we move forward from here. Despite the challenges we face in the upcoming future, remember that we are a community that values the dignity and worth of each person; we believe in the potential for personal and societal change; we have a core professional value for fighting for social justice. My office is always open for those who need a safe place. Let’s roll up our sleeves and work even harder to ensure a just society for all our citizens. One of the books I’m currently reading is “Developmental Disabilities and Child Welfare.” by Ronald Hughes and Judith Rycus. This book, published in 1998, is a good primer for anyone looking to become more informed about how child welfare professionals need to understand and respond to children in the child welfare system with disabilities. While reading this book earlier today, I was struck by the author’s discussion about the importance of the inclusion of children with disabilities into mainstream settings (here I believe they mostly are referring to educational settings, but could definitely be expanded to all settings in which typically developing children interact). The authors stress that segregation is a disservice to both individuals with disabilities as well as to society in large, because for the individual it 1) denies the person the opportunity to be part of the same world as anyone else, 2) it sends a message that they inherently can’t participate in the same activities as the rest of society, and 3) singles them out for special treatment rather than treating them as their typically-abled peers. In the past twenty-plus years that I have been a working adult, there have only been two short periods of time in which I had full-time, above minimum-wage, benefits-earning employment. There are a number of reasons for this – the major one being that I did not have a college degree until I was 35 years old. I worked a lot of retail jobs or jobs where I took care of other people, often those who were vulnerable, such as adults in a group home or day care settings. My first full-time with benefits job was as a tailor for a major department store, so although I had benefits I still made only slightly above minimum wage and a huge portion of my earnings went to daycare expenses. Employment at most of my jobs meant working nights and/or weekends. I remember when I first started my first full-time, post-MSW job in a child welfare organization and had weekends off and finally realized what everyone else meant by looking forward to the weekend. Last night I had an appointment with a tax accountant. Last year was the first time I used a professional to complete my taxes. Just the idea of having the privilege of paying someone to do my taxes made me reflect on my employment history and what it means to be a middle-class person. 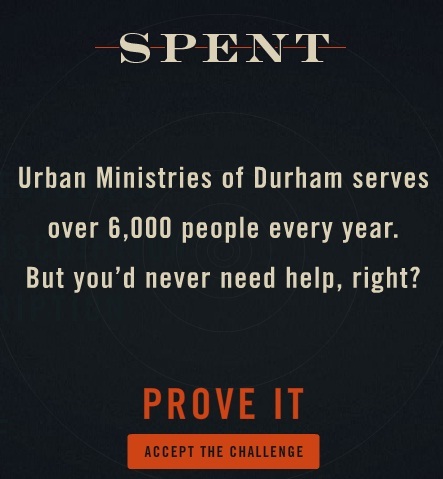 This past week, my friend and colleague Ericka tweeted about this website, a joint effort between McKinney and Urban Ministries of Durham called SPENT. The aim of this interactive activity is to get people to think about homelessness and poverty and how, even trying to do the “right” things, a person can find themselves spiraling into poverty. Through SPENT, players are asked to make choices with their opportunities and money should they find themselves suddenly unemployed with only $1000 in the bank. Will they make it through the month with any money left? I’ve been lucky – I had a partner who has always had stable employment and that helped. In addition, with the exception of when our daughter was born and we didn’t have enough insurance to cover the hospital bills which meant we were paying off hospital bills for years, for the most part since then we have been fairly healthy and have not had significant out of pocket health care bills. Somehow we always managed. There were times when between the two of us we worked four to five full and part-time jobs at one time in order to make ends meet; when we were hoped the $50 after paying our bills was enough to cover our expenses until next payday – like gas for our shared car (considering ourselves lucky if it didn’t break down); when I learned how to stretch our groceries, and only bought thrift-store clothing – and not because it was the “fashion” but because we had no other option. I often wonder, when I encounter new MSW students, how many of them have personally known poverty. I wonder if they know what it is like be poor. I have been poor, but I have never been in poverty. I love this interactive game, and I think it’s a brilliant combination of social media technology and social justice education. I think every BSW and MSW student should play this game and it should be required in social work programs. To try SPENT for yourself, click here. Please vote today!! Like many others, I get quite cynical sometimes thinking about our political system and the nastiness that often accompanies elections. But I don’t take for granted that I have the right to vote, and I’m encouraging everyone else in the U.S. to get out there and make your voice heard.